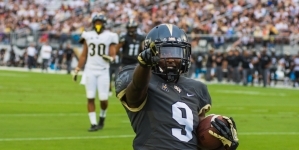 The UCF Knights are in contention for an American Athletic Conference Championship. The UCF Knights men’s basketball team came through with a victory on Thursday, defeating their conference rival, the UConn Huskies, 73-67 at home in CFE Arena. 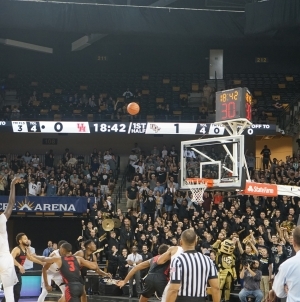 UCF (16-4, 6-2 American Athletic Conference) was able to ride momentum from a strong first half into a win, leading Uconn nearly the whole game. The Huskies (12-9, 3-5) started to tighten the lead towards the middle of the second half, but their run was short lived. 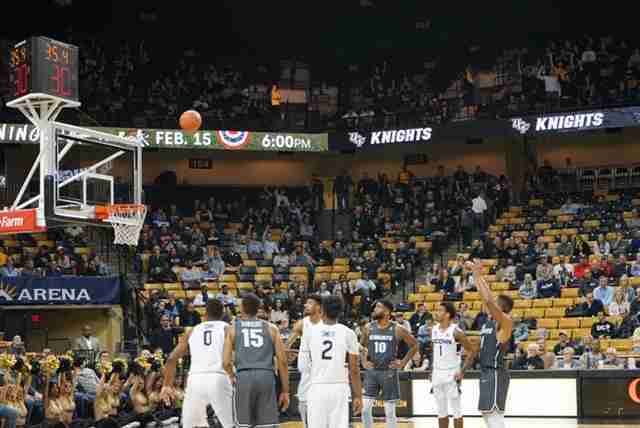 The Knights held UConn to 22 points in the first half, which they capped with a 3 point jump shot by guard Frank Bertz (Junior) with 33 seconds remaining to put UCF ahead 34-22. UConn’s offense got it going in the second half, mostly due to guard Jalen Adams’ (Senior) 22 points. Guard Christian Vital (Junior) dunked the ball off an assist from Adams that looked like it could swing momentum. And 3 minutes later Adams made a layup assisted by Vital, who ended the game with 13 points. As the second half wore on, Adams’ playmaking was slowed down due to UCF’s defensive adjustments. The Knights were able to end any hope of a comeback with 1:37 left in the game, from a 3 point shot by guard Aubrey Dawkins (Junior). 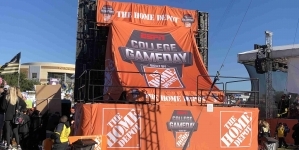 UCF currently sits in 3rd place in the American Athletic Conference, they face off against #13 Houston, who are at 1st place, at 2 P.M on Thursday.